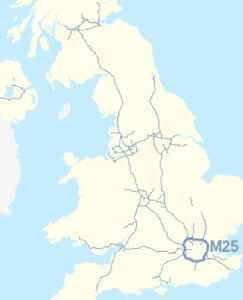 The M25 or London Orbital Motorway is 117 miles (188 km) long encircling almost all of Greater London, England. An ambitious concept to build four concentric ring roads around London was first mooted in the 1960s. 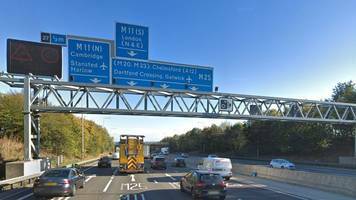 A few sections of the outer two rings were constructed in the early 1970s, but the plan was abandoned and the sections were later integrated to form a single ring which became the M25, aka London Ring Road, finally completed in 1986.